Quincy Jones will appear in concert to present the three albums he created with Michael Jackson for the first time. The one-off world exclusive show will take place at London’s O2 Arena on June 23, and will see Jackson’s acclaimed Off The Wall, Thriller and Bad albums performed by a symphony orchestra, conducted by Jones and Jules Buckley. The record producer, 85, will introduce the concert, and the show will feature never-before-seen video of the making of each album between the live performances. Special guests also taking part in the show will be announced in due course. Jones will discuss the intricacies from the trio of records, hailed as some of the most outstanding pieces of music of all time. Together, the albums have sold more than 150 million copies worldwide. Off The Wall, released in 1979, was the late King of Pop’s first album with Jones, before they teamed up again for Thriller released in 1982. They last worked together on 1987’s Bad. Jones will return to the UK after his A Life In Song concerts last year. He said: “I had an absolutely beautiful time celebrating my 85th birthday with all-a-y’all in London at The O2 last year, and I’m looking forward to doing it again this year, except this time, in honour of Off The Wall, Bad and Thriller. Jones won his 28th Grammy Award on Sunday night for the Netflix documentary about his decades-long career. He now has the most Grammys of any living artist. 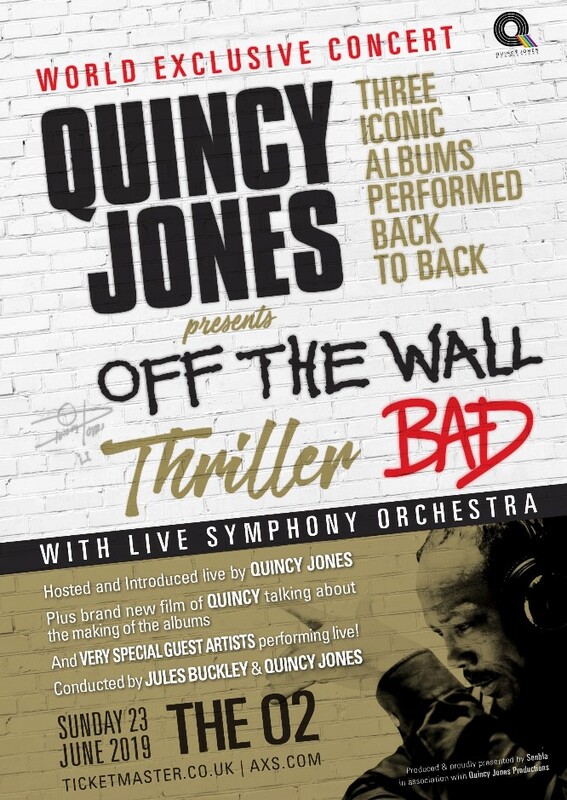 Tickets for Quincy Jones Presents: Off The Wall, Thriller and Bad, Live In Concert go on general sale on February 15.